Location, location, location. This is the rarest of finds, an acre in the heart of the east side. Tucked away on a private lane in a neighborhood that is desirable not only for its beautiful homes but also for its proximity to everything, you&apos;ll find this custom-built single level home. The home has a timeless feel and a contemporary sensibility. In 1980 the architect took great care to design a big grand open living space plus 2 en suite bedrooms.There is a simple chef&apos;s kitchen with large adjacent pantry and 3 outdoor patio spaces. Plus, an indoor swimming pool, in a large rectangular room, separated from the main house and accessible through glass sliding door. The fireplace is outdoors, part of the largest patio, and is great for cooking! A two bay carport could become an enclosed garage. This is a home that invites you to transform to your needs , and the parcel holds the possibility for future development because it is zoned R-5. 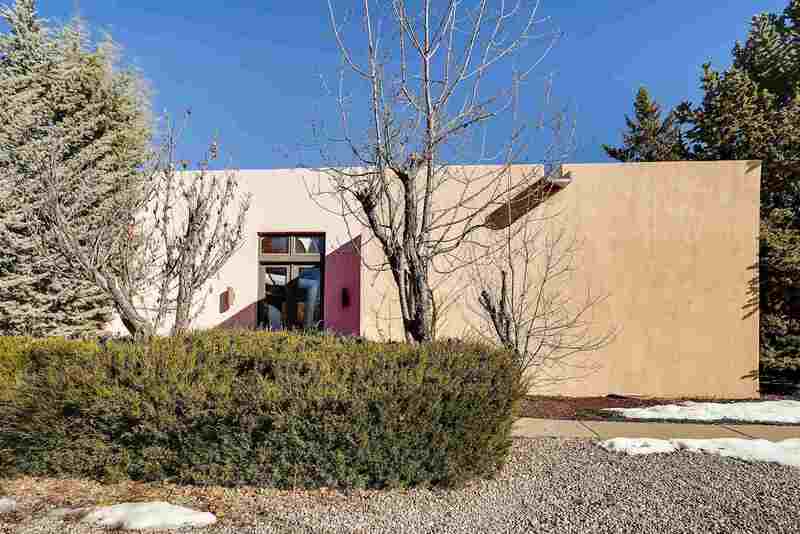 Parcel can be developed further or remain a lovely Santa Fe home in a pastoral setting! Seller requests occupancy until April 30th, allowing time to remove possessions. Thank you! Directions To Property: Del Monte Sol To El Caminito, Turn North At Cluster Of Mailboxes Just Past #825, Take Private Drive, Stay To The Right (#831 Is To The Left). Easy To Park.